You want the best humidifier for your bedroom but there are so many options, where do you start? The best humidifier for your bedroom, may not be the same as for your living room and in this article we run through the important factors that you might want to consider before buying a humidifier for your bedroom. We cover things like, noise level, lighting on the unit, tank size and other factors you should consider to get the best bedroom humidifier. Along with that, we give you our choices for the best humidifier for bedroom comfort. Click on a link below to be taken to the appropriate section. Why Have a Humidifier in your Bedroom? What Size Humidifier do I need for my Bedroom? What are the key features of a Humidifier? #1 Diverso Cool Mist Humidifier – Best humidifier for Bedroom Comfort. The Diverso Cool Mist Humidifier ticks all the important boxes for bedroom use. It comes with a remote control for easy control, has a large water tank so it can work all night if need be, it has a dimmable light, is quiet and has excellent feedback from its purchasers. 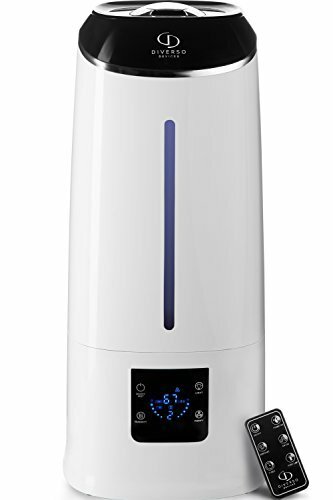 The Diverso Cool Mist Humidifier is a reasonably-priced vaporizer style humidifier with an extra large reservoir for longer continuous operation between fills and many excellent features for long-term, hands-off operation in a bedroom or small office. The Diverso operates via ultrasonic humidification, vibrating the water into a mist, and also has a built-in ionizer to clean the air as it is humidified. An internal filter keeps the air inside the humidifier clean, preventing bacteria or debris from building up on the elements. The tank is top-filling and very easy to clean as the inside of the tank is easily accessible. This humidifier operates at a hardly audible volume, making it ideal for a bedroom or office where louder machines will be a nuisance. The LED display can also be switched off, dimming to the level of a soft night light. The LED panel displays a fair bit of information about the air conditions in the room, including the current humidity and the desired humidity among other humidifier data. The humidifier has a built-in humidistat and a timer, allowing you to set it to automatically turn off after 1,2,4 or 8 hours or after reaching a certain humidity level. This humidifier is programmable to deliver air between 45 percent and 90 percent humidity. Like the Diverso, the TaoTronics Cool Mist is a whisper-quiet unit delivering long-term uninterrupted operation. Air is first filtered through a user-cleanable ceramic cartridge, filtering out bacteria, unpleasant odors and calcium and magnesium ions. It is then mixed with ultrasonically-generated mist, delivering humid air to a room up to 25m². Its one-gallon water tank delivers continuous operation for up to 15 hours between fills, delivering a substantial amount of humidity in a short period of time. Like most humidifiers, the TaoTronics Cool Mist will not accept any essential oils or non-distilled water. 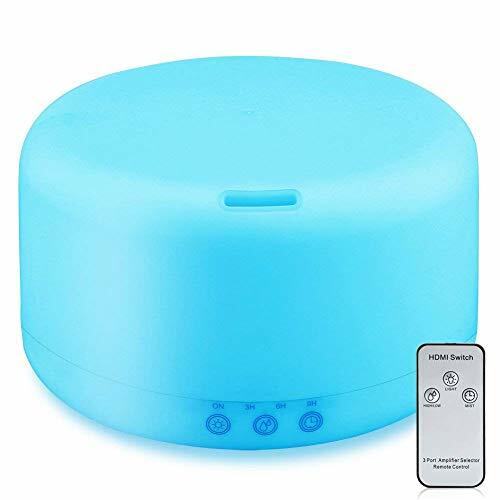 This humidifier comes with many useful features, including a timer that will shut the unit off between 1 and 24 hours, and an LED display to show the current humidity and a variety of other information about the humidifier itself. Other features include low water level protection to shut the unit off and display a warning when the water level falls below a usable level as well as an available sleep mode which turns the LED display off at night time. Its 360 degree nozzle allows you to direct the mist in any direction, helping to prevent condensation on any nearby objects and ensuring that humidity is delivered where it is needed. The dimmable light, quiet operation and unobtrusive design make this unit ideal for a bedroom or home office. It is a stylishly designed, silent and effective air cleaning humidifier that will last for years if properly cleaned and maintained. 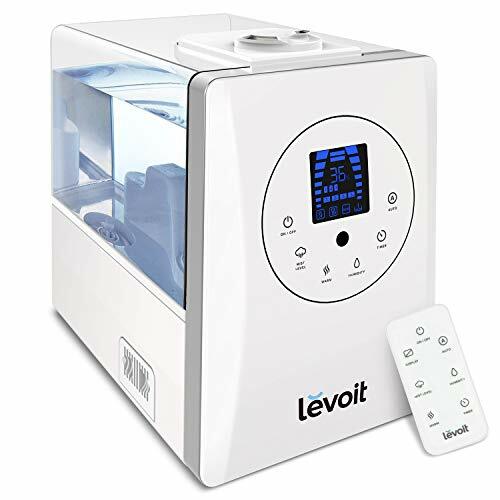 The Levoit 6L Warm and Cool Mist unit delivers warm or cool mist from its 6L tank at three different levels of intensity. Using warm mist will increase the humidity of a room 25 percent faster than cool mist, making it a more capable of adjusting to rapid changes in humidity due to extremely hot or cold weather. The Levoit also boasts an ultrasonic vaporization capacity of 500ml per hour, meaning it can easily empty its oversized tank as quickly as 12 hours (or as slow as 36 hours on the lowest intensity setting). Its sleek design is somewhat different from the previous two humidifiers in this review, resembling a kitchen appliance more than a humidifier. It is also CE and ETL certified, making it an attractive option for those who are apprehensive about purchasing unfamiliar brands or knockoffs online. 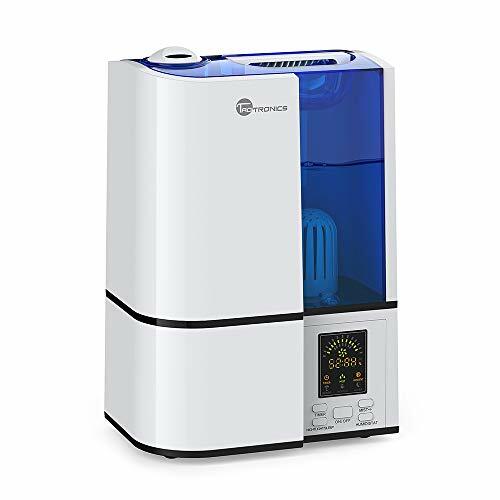 It is definitely a higher-quality unit; the water tank is made of strong ABS plastic, and it boasts a leakproof design (many humidifiers are plagued by leaking problems, causing their stay in users’ homes to be short-lived). It features a touch panel and remote control, and the LED display shows the current humidity as well as the status of the machine and the humidity it is set to maintain. The sound it generates is below 36db; Levoit brags that not even babies can hear it at this level. The display can also be switched off, making it perfect for bedrooms – you needn’t even get out of bed to adjust the program in the middle of the night as long as you can see the remote. Though it will deliver up to 100ml of water per hour on its highest intensity setting, the URPOWER 1000ML diffuser is less a humidifier and more an essential oil vaporizer. Unlike many humidifiers which generate white powder and can be damaged by adding anything but distilled water, the URPOWER is specially made to diffuse diluted essential oils and spread pleasant aromas. It features a remote control with a range of 5 meters, one day of continuous operation on a single fill and auto shutoff when the water tank falls below a usable level. This diffuser is designed to more closely resemble a marshmallow than a vaporizer, and the futuristic look might not be for everyone. It does however deliver strong ultrasonic diffusion with little noise and a dimmable light. This combination of features makes it an acceptable solution for small bedrooms or offices, but maybe not in areas where people may be sensitive to essential oils if they are being used for aromatherapy at the same time. Because it generates relatively little humidity and it is intended to be used for essential oil diffusion, this unit might not be your first choice for a bedroom for pure humidification but if you wanted a combination with essential oils, it is a good choice. Although it is an ultrasonic unit and comparatively quiet, no data is available on the exact decibel level it generates. For these reasons, a dedicated humidifier would be a better choice than this diffuser for bedrooms, but it will work in a pinch. With a noise level of less than 38db, this humidifier is a challenger for the best unit available for children’s bedrooms. It includes a dimmable light as well as a top-filling tank, meaning it can be filled with minimal noise and minimal movement even while it is operating. Its 4-liter tank provides up to 15 hours of continuous operation. This unit is capable of providing humidified air to up to 50m² of space, making it one of the more powerful humidifiers in its class. A permanent, cleanable microporous cartridge filters the air before it is introduced to the mist, and the ultrasonic mechanism includes a 360 degree rotatable nozzle to maximize the effectiveness of the humidified air that it generates. It comes with a wide variety of features, accessible from its dimmable LED display panel: a timer, sleep mode, adjustable humidistat and hygrometer data are all displayed on the front of the unit for easy programming and long-term automatic operation. Some users have reported that the TaoTronics Cool Mist is difficult to clean – cleaning the buildup of bacteria is important to the effectiveness of the machine, so there are reports of frustration with the design of the unit. 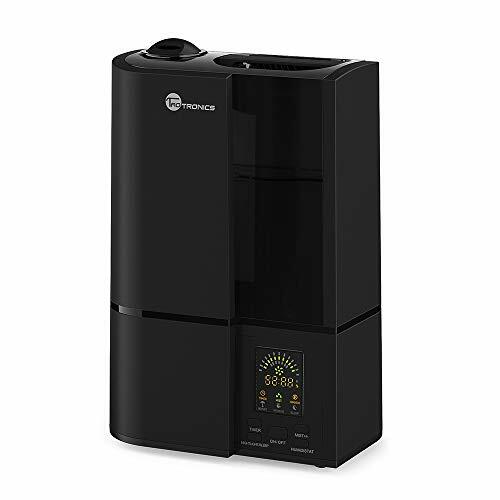 Between its quiet operation, programmability, dimmable lights and long tank life, this humidifier is a good choice for any bedroom or mid-sized office. It might be overkill for a child’s bedroom, but it will perform quietly and consistently in a small space as effectively as it does in a larger space. When choosing a humidifier for your bedroom, not all humidifiers are created equal. What works as a great humidifier in the living room may not work the same for you in the bedroom. A bedroom is a place for rest and relaxation and there are many things on humidifiers that potentially could disturb the peace. 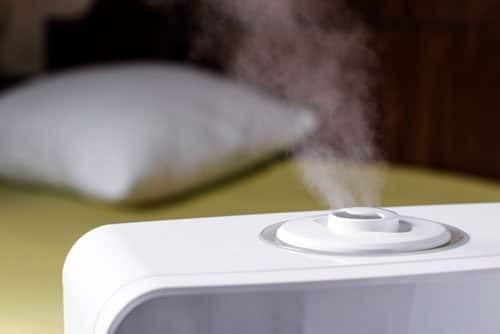 Below we run through some of the most important factors to consider when trying to find the best humidifier for bedroom comfort. Lighting can be a common problem for many bedroom electronics. Most electronics have lighting when the controls are, and it is not uncommon for those lights to be very bright, especially so once in the bedroom and all the other lights are turned off. During the day, in other rooms of the house, these bright lights wouldn’t be an issue, but when you are trying to get some sleep, and if you are like me, you really need a dark room to fall asleep and stay asleep. For some people, this may not be an issue, but for many, finding a humidifier that does not have bright lights could make a big difference to the quality of sleep you have. Of course, there are ways around this, such as putting tape of the lights, but ideally, no one wants to have to do that. Being able to schedule a household device is pretty much expected this day and age. Your humidifier should be no different. Being able to control when your humidifier turns on and/or off is a convenience that one wants. Particularly in the bedroom when you have zero desire to move from inside your comfortable bed to have to deal with settings on your electronic device. Having the ability to set a timer and go to sleep not having to concern yourself with the machine again really is a must-have feature for a humidifier in the bedroom. A remote control is critical to any bedroom electronics, whatever it may be. The last thing you want to do once you are in bed, is get out again, especially for something minor like changing a setting on something. Having a remote control is essential and luckily there are a number of humidifiers that come with a remote control. These will usually give you good control of most of the features, such as the timers and mist settings. When searching for the best humidifier for your bedroom, always check that the remote control controls all the features that you intend to use as not all remote controls allow you to control all features. Much like the issues with lighting, noise can be a huge decider between a happy purchaser and a disgruntled one. If you are the type of person that needs near silence to get to sleep you will want to pay particular attention to this. Make sure you read through the reviews from other purchasers to ascertain how loud your humidifier might be. It will become quite obvious, quite quickly whether the unit is loud or not after reading through a number of reviews. Some might offer a nice degree of ‘white noise‘ which can be useful for some people and in some cases actually help with getting to sleep. Another important consideration is size. The size of the humidifier tank and the size of your bedroom. It is important to know both of these metrics in order to find the most efficient humidifier for your bedroom. Most humidifiers will give you a sq ft rating as to the size the humidifier will comfortably serve. You will want to know the sq ft of your bedroom to match the recommended size of the humidifier. Another consideration in relation to this is the size of the tank the humidifier has. If you want to keep the humidifier on and going all night then you will obviously want to make sure you have a humidifier with a tank of water big enough to sustain that. If the water tank is too small, your humidifier may run out of water part way through the night and therefore cease is humidification. Being a unit that creates moisture, some humidifiers have the potential to create mold. And you probably know that mold can make you sick, especially if you are prone to asthma or allergies. Generally, the new models of humidifiers are unlikely to do this but it is important to take care of them and maintain them in order to prevent any mold from forming. 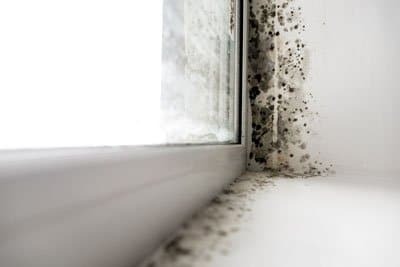 Warm mist humidifiers tend to create more mold than cool mist humidifiers given that warmth and moisture are the 2 conditions mold needs to flourish. Cool mist humidifiers can still create mold, more so around and inside the unit. It is important to regularly clean, change the water and maintain the unit to reduce the chance of mold forming. Most units will have a recommended care guide, check that out before you buy. Also be sure to read reviews as to whether others have experienced issues with mold with the unit you are thinking of buying. There are a few different options when it comes to the type of humidifier you can buy. You can get warm mist humidifiers or cool mist humidifiers. Cool mist purifiers can also work in 2 different ways. First, there is an evaporative humidifier and then there is the ultrasonic humidifier. Back to warm vs cool mist. These too, have their pros and cons. Warm mist is better for warming the room, quieter, and kill germs as the water is boiled, but can be dangerous for young babies, use more power and can leave mineral deposits after boiling process. Cool mist is generally more common and cools the room, are better for larger spaces, cheaper to run but can be noisier because of the need for a fan and the wick filter needs to be replaced often. And of course, if you cant choose which kind of humidifier might be best for your bedroom, there are a number of options that have both warm and cool mist capabilities. 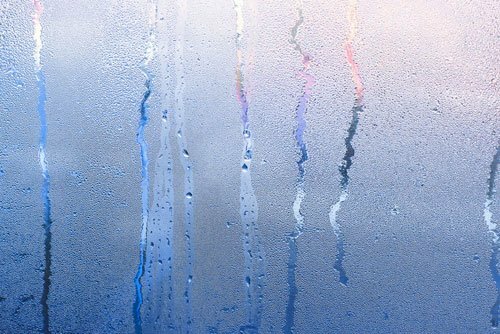 According to studies for optimum health, humidity levels in the home should hover around 45%. Anything under 30% is too dry and can cause eye, nose and throat irritations, and anything over 50% can potentially fuel the growth of harmful bacteria, dust mites, and molds. 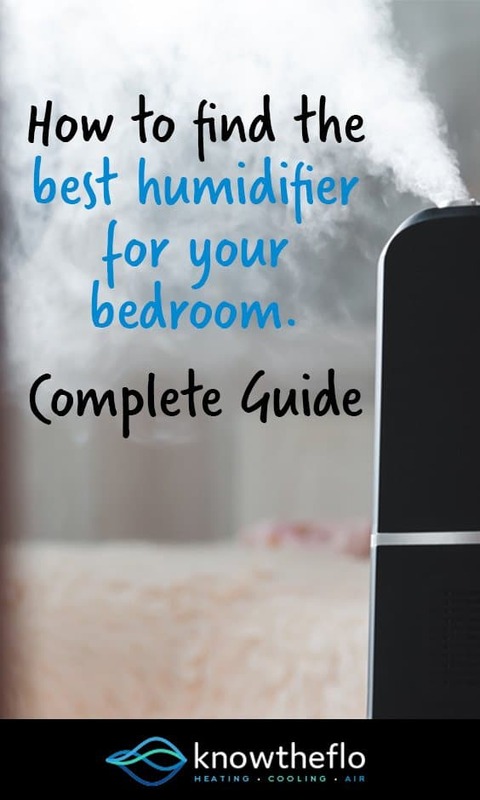 So it goes without saying that knowing what the humidity is in your bedroom and being able to control it should be an important factor in choosing a humidifier. Luckily, there are a number of humidifier models that have a humidity sensor function and a humidity level setting. This is great as it gives you the ability to set the humidity to a level that is healthy and comfortable for you. if you are concerned about health, keep an eye out when searching for this feature as not all humidifiers will have this function. Everything is going smart these days, and why wouldn’t you. Smart apps give us the ability to control things anytime, anywhere giving us ultimate control over our devices and in turn, the comfort of our homes. Smart humidifiers can also do just that, giving you control over humidity levels, timers, and other settings. Unfortunately, there are not yet a huge array of wifi options available currently, there are, however, more wifi diffusers which can double up as (less effective) humidifiers. These diffusers are popular choices, especially for bedrooms, but are more used for aromatherapy as their primary function. It is widely believed by many that aromatherapy has some wonderful benefits and one of the most common tools for aromatherapy is a diffuser. 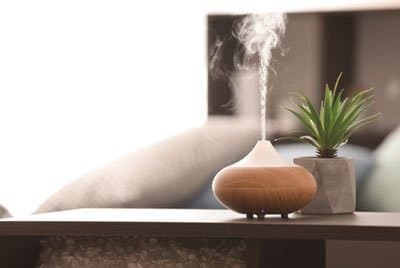 As mentioned above, a diffuser works in much the same way as a humidifier in that it releases moisture into the air, but rather than just releasing water, a diffusers purpose is to release oils and fragrances. 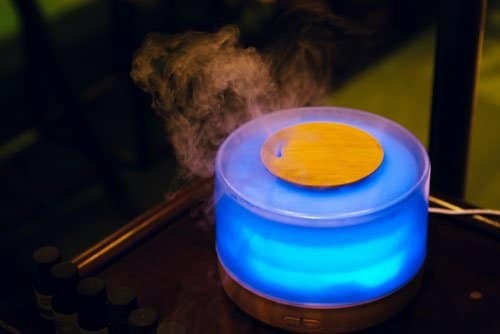 There are a number of humidifier, essential oil humidifier combinations available on the market, so if you are wanting the added benefits that aromatherapy may bring, then you may want to keep an eye out for a humidifier with aromatherapy diffuser functionality. Humidifiers are used to treat dry air in the home. A humidifying unit has a reservoir filled with water. The water is distributed in a fine mist form to moisturize dry air. These are popular appliances due to their many benefits for your home and your health. They are particularly helpful throughout winter, as humidity levels drop with colder temperatures. Cool mist humidifiers – best for hot environments, and are also safer options for children’s bedrooms. Warm mist humidifiers – these models will boil the water inside the unit, before cooling the vapor to a safer temperature to release into the air. Warm mist is best for colder environments and/or winter months, and for preventing or fighting upper respiratory infections. Ultrasonic humidifiers – these use sound vibrations to create and release mist and are usually a lot quieter than traditional models. Ultraviolet (UV) humidifiers – these have similar technologies to other models with the added feature of UV rays, which kill viruses and bacteria in the water. These can be used in hot or cold mist. Keeping the respiratory tract moist is essential for a peaceful, undisturbed sleep. Dry throats and sinuses can cause or exaggerate coughing, discomfort and snoring and if used correctly could help with asthma symptoms.. Using a humidifier overnight, you will wake up feeling more relaxed and without that annoying tickle in your throat. Lessening the chances of snoring might also mean those around you are getting a better sleep, too! If the mucus membranes in your nose are dry, they won’t be working very efficiently. These membranes are vital for preventing germs from entering the lungs. Keep them moist and they will keep their best defenses up while you sleep. Moisturized air will also help relieve congestion, making it easier to dislodge any germ-carrying mucus. Dry air feels colder than humid air, even if it is actually at the same temperature. Running a humidifier could, therefore, reduce your reliance on heaters to keep your bedroom warm. Dry air can wreak havoc on your skin. It can cause dry patches and painful cracking in the skin, especially on the feet, hands and face. Eczema and other forms of dermatitis can be significantly agitated by cold, dry air. Those who suffer from skin conditions would find humidifiers especially helpful in the winter. Humidifiers protect the health of children and babies in the same ways they protect adults – but young ones need it most as their immunity is still developing. Many over-the-counter decongestant medicines are not suitable for young children, so humidifying the air can help relieve discomfort and congestion naturally. Moist air will also keep their sensitive nasal passages from becoming dry and irritated, making them less likely to wake up uncomfortable or upset. Humidifiers can keep wooden features and furniture in your home in good condition. Dry air increases the risk of wood splitting and cracking. It’s also bad for all of your indoor plants – humidifiers help them to stay healthy, too! The size of the humidifier depends on the size of the room you want to use it in. Vaporizers, tabletop and compact portable humidifiers are best for small areas. They are also the cheapest models, however, due to the compact reservoir size they will require refilling more often. Mid-range portable humidifiers are well suited to mid-sized spaces. Tabletop or compact options will not be efficient in a space of over 300 square feet. Bigger console models are needed to humidify larger areas. These models are more difficult to move around but require less refilling. Another essential thing to note when selecting a humidifier is the noise level. If you are going to have it running in your bedroom overnight, you don’t want something super loud that is going to disturb your sleep. Most humidifiers are designed to be as quiet as possible, but ultrasonic humidifiers create less noise than most as they do not contain a fan. It is important to use the right size humidifier to ensure it will achieve the desired result. For example, using a large humidifier in a small space can make the room too damp. The recommended humidity of a room is 30%-50%. Humidistat – this will help you keep your room at the right humidity. Most humidifiers have an internal gauge to measure the moisture in the air and the humidistat displays this information. This helps you adjust to the right setting for your space. Timer – this enables you to set your humidifier to turn on and off at different points throughout the day. Great for busy working people who want a comfortable home to come back to after a long day! Filters – buying a humidifier with filters gives you the added bonus of preventing germs from being circulated throughout the home. Models without filters need to be cleaned more regularly and might be more difficult to clean properly. Reservoir – this is where the water is stored and refilled. Larger reservoirs require less refilling. Preferably the reservoir will also be transparent, so you can see when it needs refilling before it runs out completely. Speed control – some models have a speed control feature, which can be turned up or down depending on how quickly you want the humidifier to work. Being able to reduce the speed can also help reduce noise on humidifiers with internal fans. Multifunctional – some humidifiers can serve more than one purpose. Higher-end units can act as air purifiers, or can be switched to reverse to dehumidify the air! These models will come with a higher price tag but can replace several appliances in one. I have a huge d9ubke height ceiling living room and am having a problem finding a free standing unit large enough to cover it – what are the largest free standing humidifiers you have come across? Id look at a whole house humidifier if you are wanting the largest unit possible. You can get some very large ones which would easily be able to humidify a large room. For example.